This album manages to shoot itself in the foot, commercially speaking, before it even gets off the shelf- the title, the cover art, the press quote praising the 'smooth guitar work' on the promo copy I bought (the second time I bought this album, to replace a lost copy- something I have only done with about 3 other records in my life. ), everything screams 'MOR country-jazz-blues' so hard it practically forces your hand away from the record rack. These indicators are, in a way, actually a pretty accurate indicator of the musical content as well- the guitar work is indeed smooth (almost every song contains a lengthy guitar solo smoother than a crushed fruit drink endorsed by The Egyptian Lover). And yes, the lyrics consist basically of the words 'ooh', 'baby' 'I' 'you' 'me' 'love' and 'darling' in a slightly different order on each song, with the occasional reference to Jesus or the colour blue to mix things up a bit. And yes, it's jazzy (in spirit if not in construction) -main man Josh Haden is the son of legendary jazz bassist Charlie Haden- and unlikely to send anyone screaming for the doors, clutching their ears. And it contains absolutely nothing radical in terms of construction (except for the length of the guitar solos, and perhaps the uniformly languorous tempo). This record might be starting to sound like a big pile of (rightly) discarded clichés to you, and in some ways you'd be right. But remember why clichés become clichés in the first place- because before they were destroyed by generations of ham-fisted clowns, they were direct, unmediated, meaningful artistic statements which genuinely spoke to people- and it's there that the magic of this LP lies. Because every element of this album rings fresh and true, despite being constructed out of such well-worn elements. Spain are also a band who know how to make every note count- while the music isn't Low or Codeine-style minimalist, there is a sense of very deliberate placement, a weight and purpose behind every syllable that Haden whispers, that makes all the difference between the tasteless processed Cheddar this album looks like, and the rich, complex Stilton (or Dovedale, really, let's face it- Stilton is usually not all it's cracked up to be) it actually is. There’s a universe where The Chap are on the cover of every magazine. Unfortunately, it's not this one. Although both of their LPs are well worth investigating, it’s their debut album, ‘The Horse’, which pips it by a nose for me. The sheer weight of ideas bursting from the speakers is overwhelming: the driving, crushed beat in ‘Courage + Modesty’, how the detuned noise-house scree of ‘Effort plus Guns’ manages to invoke Boards of Canada, The Beatles AND Sonic Youth simultaneously, the joyous French pop of ‘Dror Frangi’….the list goes on. The Chap’s brilliance is not, despite first appearances, the studied, synthetic brilliance of an LCD Soundsystem- this isn’t years of techniques diligently learned, honed, refined and reproduced. Instead, The Chap do for glitchy electronics, krautrock and British psychedelia what The Pixies did for surf music and spaghetti western soundtracks- digest, warp and melt their influences so that although, yes, this is clearly a band with catholic musical tastes, what emerges is completely instinctive, completely their own thing. OK, there are a few barriers to world-wide acceptance- from a distance their name, and their love of knowing, geeky lyrics about sampler file formats and the vagaries of the London music scene give them the undeserved air of a North London insider’s joke band, more style than substance. But to tag them like that is to do them a grave disservice- although it’s tempting to say that they’re not quite as clever as they think they are, look closer and they’re actually a lot cleverer than you think they think they are. Stick that in your grammar checker and smoke it. There are several songs off the album here. ‘Hey Kid/It’s summer again/Grow your hair and let your muscles show through’. Maybe it’s just me, but there’s a certain subset of American indie-rock which just perfectly matches late summer evenings, tired but happy, watching smoke from the campfire drifting up to join the few clouds in an otherwise perfectly clear sky. Both gently euphoric and wistful, there’s a cryptic wisdom in this music that I don’t think I’ll ever tire of. Pavement’s ‘Range Life’ and a lot of Grandaddy’s early output is the sort of thing I’m talking about- spontaneous yet timeless, music that sounds like a perfect accident. ‘Medeiros’, Wheat’s debut album, stands proudly among its better-known brothers in this respect and is every bit their equal. From the dusty scatters and hums of the introductory ‘Preprise’, through an all-too-brief 8 songs, until the final notes of the electric piano of the ‘Reprise’ fade into static, for all it seems like the components of the songs have been scattered without care, there’s not a single note or word out of place. The way that ‘Karmic Episodes’ builds into a gentle hysteria, static and feedback gradually clouding the song, the unsteady push and pull of the guitar in ‘Soft Polluted Blacks’ against a wall of white noise, or the way the subject of ‘Girl Singer’ ‘keep(s) it really raw/like a boy’, every song ,without exception, is enthralling. The record sits in the great tradition of American songwriting: each song is a vignette of a small-town America forever preserved in an endless moment. There are echoes of Tom Petty in the chug of ‘Death Car’, of Neil Young in the knowingly throwaway lines scattered throughout: ‘You’re making passes like some football star/I’m turning over like a racecar’. The album at times verges on sentimentality- no, scratch that, it’s an unashamedly sentimental album, but one which cannily folds in a good dollop of experimental attitude to counterbalance what might otherwise be a little *too* sweet. And more importantly than that, each and every song is just a great great song. It’s fitting to start this blog with a record that pretty much embodies everything I want to write about- a record of limpid beauty which has somehow managed to fall between the two stools it should occupy like thrones, leaving Roberts a virtual unknown in both the indie-rock and folk communities. ‘The Crook of My Arm’, in my opinion his best record, is a collection of traditional ballads, mainly dealing with the theme of love: gained, lost and spurned, and performed by Roberts alone, accompanied only by his acoustic guitar. If you’re like me your patience for a lot of performers of traditional song is limited- because of the distance in time and lifestyle between the subject matter and the performance it can easily lapse into twee medieval syrup. 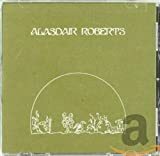 To be any more than museum pieces the songs need interpreting in such a way as to drive straight to the universal human heart of the material- and to this end Roberts' understated, pure delivery couldn't be more effective. Of course, if you're the kind of person who thinks realness means the singer has to have 'been there and done that' you're looking in the wrong place. Roberts isn't a 17th-century shepherdess, or indeed any of the other characters who inhabit this album- but then Johnny Cash never shot a man in Reno. But of course that's not the point- the point is that when you hear a song like 'Lowlands', you hear real love, and real loss, channeled over the centuries, through the speakers, into your heart. I'm not interested in breaking anyone's copyright, only in hopefully encouraging people to buy some under-exposed records. If you want your music taken off, I happily will do so. Mail linemusic at lycos dot com to do so.